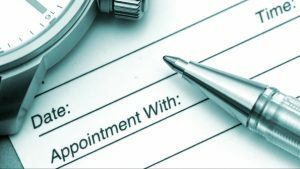 Appointment setting is a very specific skill and requires patience, intelligence and professionalism. It’s a rare day that someone will agree to an appointment without a compelling set of reasons to do so and it’s, therefore, crucial that all necessary preparation is completed prior to the work starting. Here’s an example of how out appointment setting service works. If we’re calling for an accountants office and we ask “Are you happy with your accountant?” the chances are we won’t get very far. If, on the other hand, we research with our client to discover their USP’s, areas of expertise and specialisms we can approach the campaign totally differently. “We specialise in Veterinary Surgery accounts just like yours and we save our clients an average of £11k in corporation tax annually by changing four things in their accounts. Would you like to know what those four things are? Yes please! is the answer we got from over 20 companies out of 165 asked. 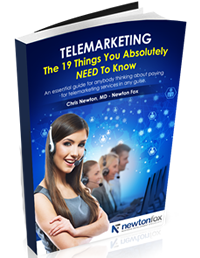 This is the difference between sales calls and structured telemarketing campaigns. In addition, when we’re booking appointments for our clients we use a system called ‘BANT’ which stands for Budget, Authority, Need and Timeline.’ This helps ensure that the appointments are qualified and being set with people ready, able and willing to buy from our clients right now. We take the time to find out what is and isn’t a good appointment in the eyes of our clients’ and then benchmark our results against those exacting criteria. Nothing’s fool-proof however which is why we record everything we do for complete clarity and peace of mind. We realise that clients are concerned about whether the investment they are making will work for them. This is why so much care goes into the initial setup of the campaign and we will always set out a programme that guarantees a particular set of results in return for a set investment level. Our experience means we can usually predict with uncanny accuracy how the campaign will develop and we’re happy to share the risk with our clients. Please call or complete the form below to find out more about our B2B Appointment Setting services.